While those in Kentucky, like many others across the nation, answered the call to serve in the Vietnam War, there were those who strongly opposed the War. 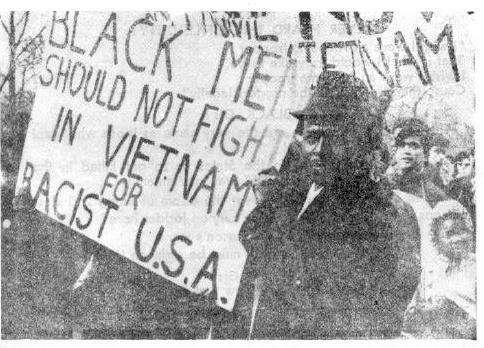 Lead by prominent civil rights activists and important figureheads in the community, this movement worked to show the injustice of the war and especially the draft. Suzy Post joined forces with Anne and Carl Braden, Dr. George Edwards, and Muhammad Ali in Kentucky to take a stand against the War . Inspired by Muhammad Ali, Suzy Post did all that she could to help out the movement. While working with this movement, she did a variety of tasks that aided to its success. At this time, Post was a dedicated to being a mother to her children and often stayed at home or brought her kids with her to local functions, but this didn’t stop her from being fully involved . Although she wasn’t the one out picketing or traveling to get others to join in the efforts to stop the draft, she did a lot to keep those who were healthy and well. She would cook and bake, do laundry, answer phone calls, and give up her house as a place for those traveling to Louisville . While all of these actions helped in tremendous ways, she often felt as though she was trapped by the “conventional” role of a woman at this time period . In order to get out of this traditional role, she offered her house up to be a sort of “underground railroad” for soldiers escaping the draft. Her home became a place where men could come and stay for as long as they needed. While there, she would offer up all that she had in her home as well as mentoring and comforting the men on their journey . This allowed for her to be actively participating in what the movement was doing and contribute greatly to its success. Although she didn’t make it out to a lot of events, that isn’t to stay that she didn’t still play a hand in organizing and participating in some of them. One of the big protests that she took part in was one that was set up to stand up against the Cambodia bombings and Nixon’s presidency . This protest gathered more than 5,000 people to show dislike for what was happening . Suzy Post participated actively, both in going to protests and helping with more managerial aspects. Without her, there would have been a lack of help and support for the young activists who were going out and risking what they had to make a statement against this injustice. Post dedicated her life to fighting injustice in all areas, and this is just one more that she contributed to and cared deeply for.